Powerful and feminine, the Ironman® Transit collection is everything you are. This watch is as practical as it is fashionable, with a sleek black case, black strap and a silver tone top ring. 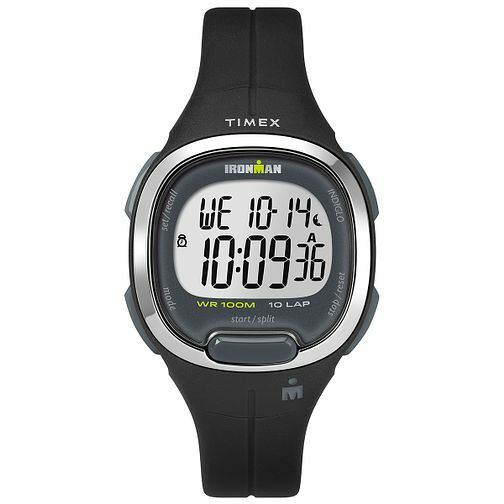 Features include a countdown timer, sports stopwatch, customizable alarm, date display and indiglo® light, and is water resistant up to 100 metres. Sporty and stylish, the perfect combination.